Thanks for sharing with the world about how wonderful and important the Goose is. It was my first Goose and I’m enthusiastic about inviting (all!) others to experience it for themselves. Not everyone will need to return every year but I believe it is an excellent experience of society improved. 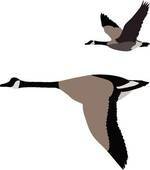 What a wonderful summary of the Wild Goose’s expresion in people! I felt so much the same myself, and so comfortable and at home, though I am one of the “unpresentable” parts of Christ’s Body. Blessings & Joy Dear One!! Thanks, Renée. I hope to see you again at next year’s Goose.